Selecting Food Grade Warehousing Company[/caption]If you’re searching for a food grade warehouse, there are a number of considerations that are extremely important to understand in order to make sure that you select the right provider for your business. To begin with, understanding the differences between the varying types of food grade warehouses offers some helpful insights. There are three main types of food grade warehousing companies – dry food storage companies, frozen food grade facilities, and refrigerated facilities. Frozen storage usually operates its environment within the temperature range of 0 degrees Fahrenheit and below. Refrigerated, or climate control facilities, can keep food at a comfortable temperature range of 34-39 degrees Fahrenheit. Finally, dry food grade storage facilities usually operate within the 50-70 degree Fahrenheit range. Between these three temperature ranges, companies can handle the different types of food needs for companies. 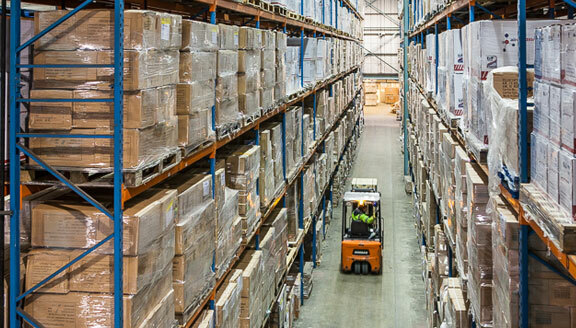 Some warehousing companies offer all three types of temperature ranges, whereas some only specialize in one or two of the options – so you’ll have to check with the specific provider in order to determine if they can meet your needs.